Do you use a laptop? Many people I work with who complain of pain associated with using their laptop computer are surprised to hear that laptops were never designed for long term use. Basically, if one positions the keyboard so that the height is good for the hands and arms, with the forearms roughly parallel to the floor (the height is tiny bit lower than required for playing the piano), then the screen is not in a good place for the head and neck. The convenience and portability of laptops is almost a disadvantage, in that it is too easy to not consider the set up. I once worked with an Occupational Therapist who confessed that she used her laptop lying down in bed whilst typing (the irony was not lost on me). Many people admit that they work on their laptops sitting up in bed, which is far from ideal for many other reasons, including sleep hygiene. 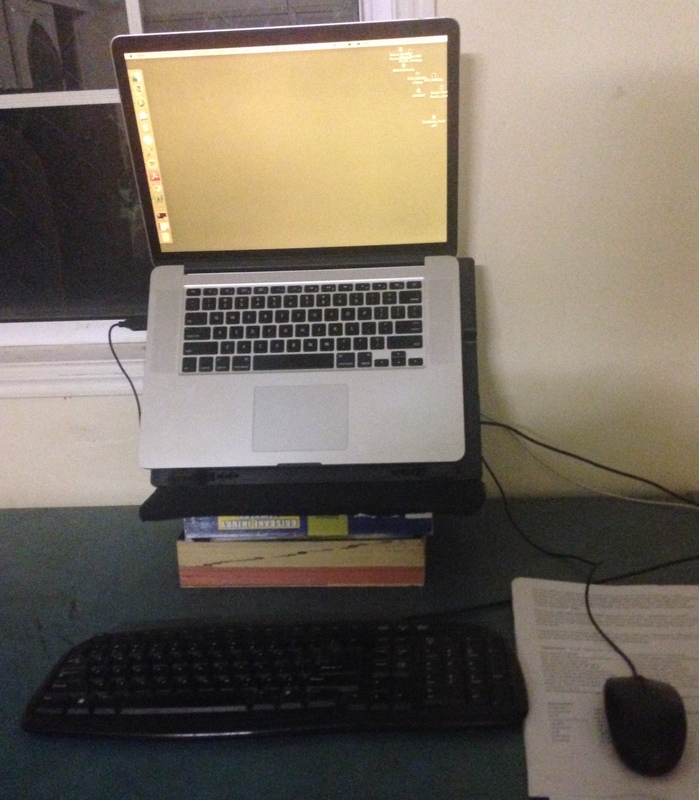 A stand for your laptop. 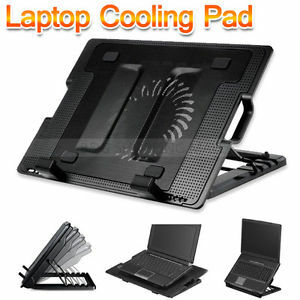 You don’t have to turn on the cooling element. With a separate stand (and maybe a couple of extra books underneath) you can adjust the laptop height so that you can comfortably see the whole screen while maintaining alignment of the head, neck and spine. 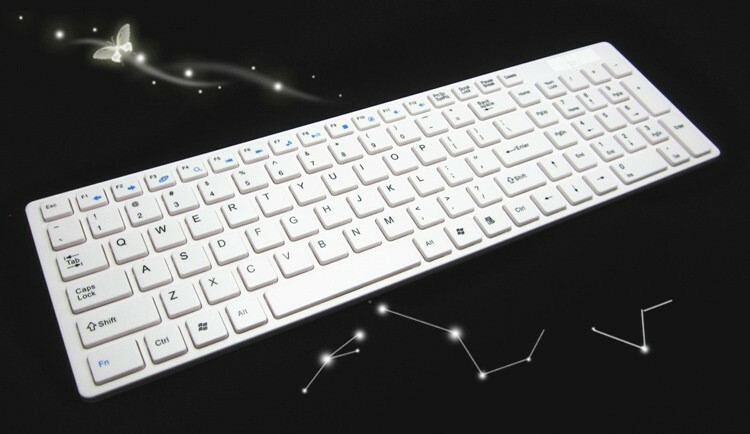 This allows you to adjust the keyboard independently to the height of the screen. I would recommend a small keyboard without an additional set of numbers on the right side, permitting the mouse to be closer to the body. 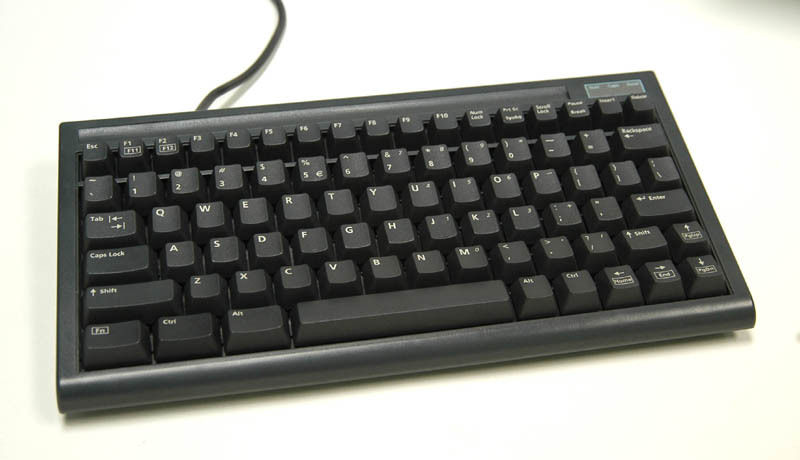 A longer keyboard such as the one below is okay to use, as long as one is aware that the torso will have to adjust more to move to the mouse, then back again to the keyboard. Look for a keyboard that has some depth in the touch. In response to the huge injury rate in the workplace, keyboards have become lighter and lighter in recent years. However, if the key is very light, there is a great temptation to only type from the finger, rather than using the support of the forearm. Even if there is no key to press (for example on a mobile phone or ipad), we can never just move from the finger alone. There is no need to purchase an ergonomic keyboard. While the intention of avoiding twisting is sound (one of the main causes of tendonitis), the design of these keyboards can prompt people to hold out their arms away from the body in an attempt to have the fingers and forearm straight with the keys, causing fatigue and pain in the shoulder / upper arm area. 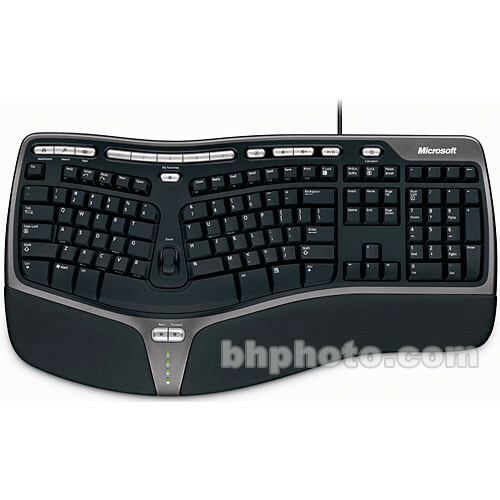 Furthermore, it is still possible to type on an ergonomic keyboard and nonetheless curl, stretch, twist, and / or distort the hand by remaining fixed in the home row position while moving individual fingers to other rows. For those who are Taubman trained, it’s worth checking that you are applying the principles that you have learned in your lessons – are you moving at the computer keyboard with the same awareness as at the piano? If you’d like a refresher, you can read more and watch videos with Edna Golandsky at www.healthytyping.com. 3. The final item on the shopping list is a separate mouse. 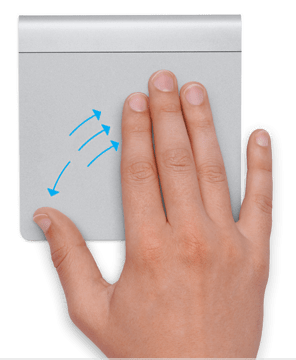 This negates the need for multi-touch gestures on the trackpad, many of which create stretching and isolating, such as the examples below. It’s also important to check the mouse use. 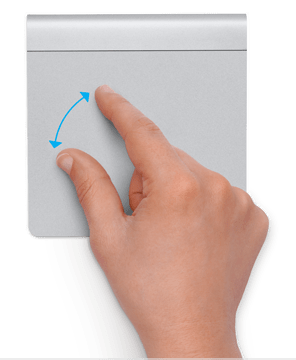 Common causes of problems include holding the mouse very tightly, twisting the hand away from the forearm, and distorting the hand by using the scroll wheel while holding the other fingers down. The same Taubman principles apply: the fingers, hand and forearm really do have to work together in synchronicity. Overall, the set-up for your laptop might look something like this. As you can see, I’ve grabbed some extra books so that I can see the screen comfortably. This article is just a starting point in healthy laptop, computer and mouse use. You might also be interested in reading this healthy and safety checksheet from the Queensland Government, and also booking a session with someone trained in this area if symptoms persist. Happy typing everyone!